For EV buyers, Colorado is now a very exciting place to be. This is thanks to a bill that was just passed by the state legislature called House Bill 1332, which replaces the old EV incentive system of a complicated formula based on battery size and total MSRP to a flat sales incentive of $5,000 across the board for light duty electric vehicles. However, the simplification of the state’s incentive program isn’t really the main draw—it is the fact that this new incentive can be applied to a car dealer or finance company, turning it into a point-of-sale incentive. This allows dealerships selling EVs to apply the $5,000 incentive directly to the car’s sticker price, lowering the car’s price in the first place (as opposed to the federal tax incentive, which requires that you pay for the vehicle before you get tax credit applied to you). 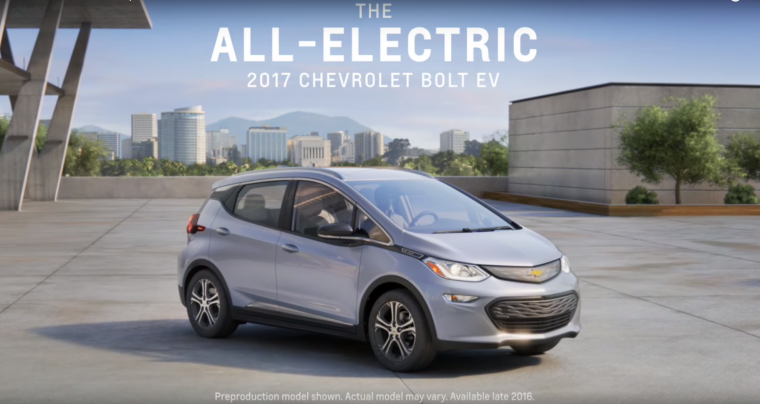 So now, if you were, say, in Colorado and buying one of Chevy’s new 2017 Bolt EVs (good choice! ), your price would immediately be $32,500, after which you would receive the federal incentive, driving the price down to somewhere around $25,000. So, for about the price of a new Camry, you could have a brand new, long-range electric vehicle. If you live in Colorado, that is. Man, it is rough to be based in Dayton, sometimes. Of course, this isn’t all butterflies and rainbows–this bill actually lowers the incentives for higher-priced EVs such as the Tesla Model S and BMW i3. However, when it comes to making EVs more affordable for the everyday person, this deal is right on the money.